The office is dead. The emergence of co-working, ubiquitious technology and our desire for comfort and mobility demands that we reimagine the spaces we inhabit. Our work and home lives have converged. The space around us must do the same. Soft contract furniture manufacturer Arper sought to bring this to the fore in its three-year campaign Arper Together, researched and conceptualized by 2x4. We animated Arper’s communication around the collaboration and creative expression inherent in the brand’s high-quality, modular design systems that support architects and designers’ ability to realize new visions of communal working and living. 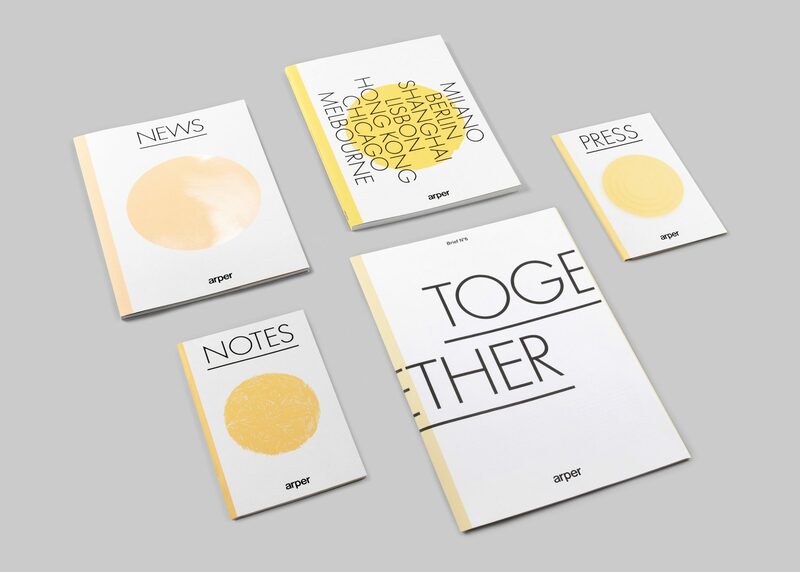 A compelling anthem for changing times, The Together theme was implemented through all aspects of client engagement from elevating new product initiatives in the context of the Salone Del Mobile Milano and subsequent fairs to showroom environments, web and social media campaigns.